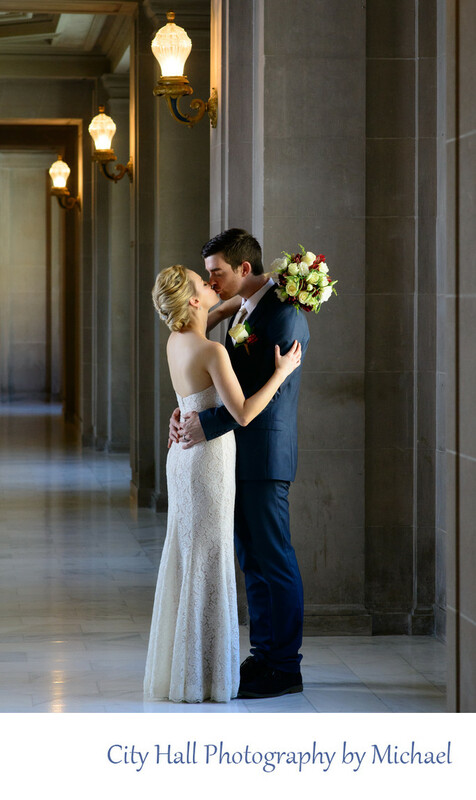 When photographing our couples on the various floors of City Hall, we are always looking for backgrounds that will enhance the image without causing distraction. In this particular photo, we used the classic background of repeating lines to add symmetry and drama to the image. In addition to the lines framing the background we also displayed the 3 lights. Another positive attribute of this image is the natural window light illuminating the bride and groom. North Window light is always the best!